So in just over a week this will finally be happening. 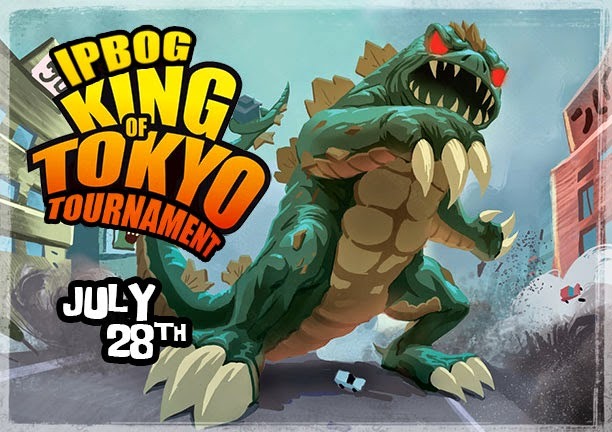 If you own King of Tokyo it would be pretty helpful if you could bring your copy along so that we'll be able to have as many games going on at once as possible. We'll be playing the official tournament rules. If you're not into King of Tokyo then don't dispair, you can still come along and play whatever board games you like. It'll be just like a usual night except slightly more people than normal will probably be playing King of Tokyo.